In 2010, Sean Ellis realized he needed a new kind of employee. Having seen startups rise and fall, he realized that there was only one real metric a fledgling company needed to focus on to ensure success: growth. This might seem obvious, but before Ellis, no person or group was hiring individuals to focus solely on strategies for expansion. A Growth Hacker is not a marketer, balancing costs with benefits and following established formats. A Growth Hacker isn’t an engineer, crafting software and creating systems to optimize company functions. The one goal of a Growth hacker is to create growth. And to create it by any means necessary. When roommates Brian Chesky and Joey Gebbia needed some quick cash, they set out a few mattresses on their floor and put out adds on the internet looking for short-term lodgers. Three people responded and paid $80 apiece, and the idea of Airbnb was born. The men took their idea to SXSW and started getting bookings. However, the company’s growth slowed when they couldn’t find an affordable way to expand their brand. Another site called Craigslist, however, had developed a massive user-base despite a less-than-pristine reputation. With the help of Nathan Blecharczyk, Chesky and Gebbia decided to tap into that user base by allowing posters on Airbnb to double post on the massive exchange site. 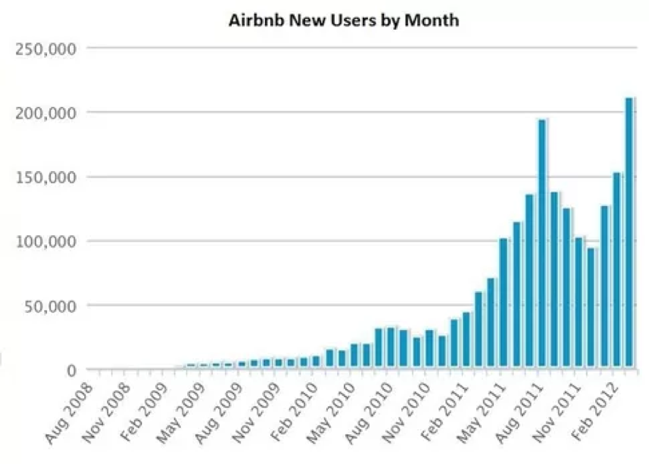 While not sanctioned by Craigslist, Airbnb’s postings soon earned them a massive jump in users, sky-rocketing the company into the mainstream. Once again taking advantage of Craigslist’s userbase, Airbnb further encouraged expansion by sending targeted emails in response to room postings on the site, encouraging posters to sign up with the house-share service, and further driving growth. The use of aggressive, growth-first tactics that operated outside the bounds of traditional marketing allowed Airbnb to thrive and become a highly disruptive company in the hotel industry. Even though the freelance taxi service has been embroiled in controversy over the years, Uber represents a masterclass in Growth Hacking. Like Airbnb the company also made its debut at SXSW, getting the word out by providing rides for festival-goers to save money on advertising. Then there’s scalability. According to the WHO, between 2010 and 2013 there was a 16% increase in the number of registered vehicles in the world, and that number grows every year. Mix that with a constant need for jobs, and you have an infinitely scalable company with demand all over the world. Additionally, Uber possesses the special quality of having a product that markets itself. If someone uses the service to get to a party, and their friend wants to know how they got there they could say, “Oh, I took an Uber.” This creates the opportunity for free advertising and a service that spreads by word of mouth. Finally, Uber continued to grow by constantly expanding its range of services. The company offers a continually expanding list of specialized services to cater to all sorts of niches and remain relevant. Though not available in all places, Uber offers more than 20 services total, offering everything from carpools to helicopters. 2014 saw the introduction of Uber Eats, jumping on the growing popularity of food delivery sites to continue increasing growth. The company’s powerful branding combined with constantly updated services based on user needs has turned Uber into a financial juggernaut. Before it was the massive photo-sharing service was bought by Facebook, before it was even called Instagram, the app was a humble social media service for whiskey-lovers. Though initially highly niche, by listening to feedback developer Kevin Systrom determined that the most popular aspect of his app was the photo-posting functionality. Seeing an opportunity for growth, the entire app was stripped down and redirected. Looking at other popular photo apps like Hipstamatic’s beautiful filters, the team changed the company’s name to Instagram and created a multifunctional, but easy-to-use photo-sharing app that took the world by storm. The company also made the genius tactical decision to release the app on the same day as the iPhone 4, a move which led to the company reaching a million users within the first two months. 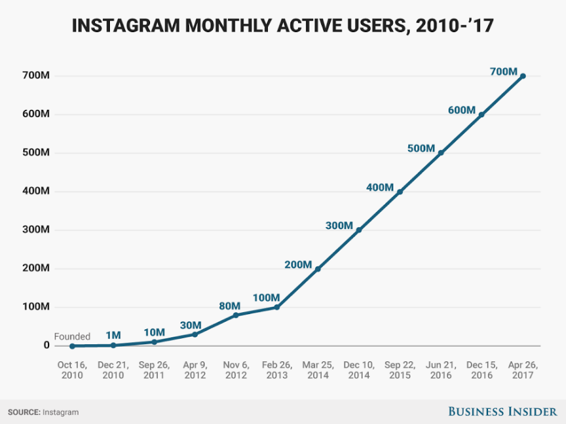 By listening to its users, adapting best practices, and making smart marketing plays, Instagram saw explosive growth which led to its purchase by Facebook in 2012. In today’s market, a company needs innovative, aggressive strategies to break into the market, and a strong, internet-based attack plan is the best way to grow your business. Using the powerful tools of inbound marketing and social media brand generation, GW Digital Marketing gives small businesses the tools to hack growth and increase profitability. In the constantly shifting internet landscape, it takes the growth mindset to succeed, and with our knowledge and expertise, we can help your company thrive.